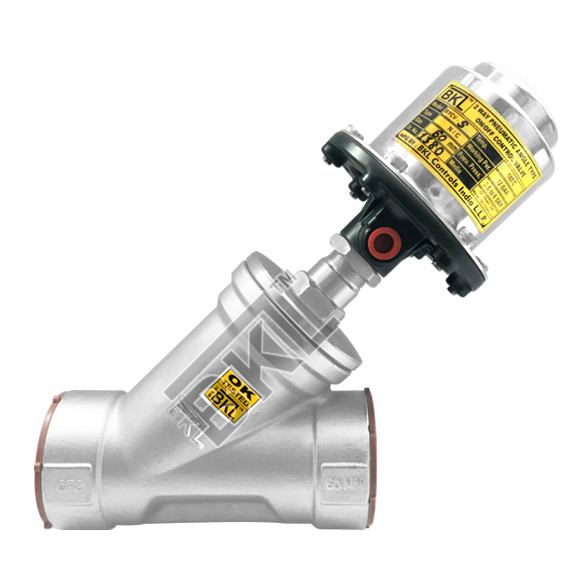 Our entity is involved in providing a range of angle seat control valve and we are known as reputed angle seat control valve supplier, manufacturer, and exporter in India. We manufacture this product as per the latest industry norms with the use of best quality raw material and using advanced technology. Our supplied angle seat control valves are used in a variety of industries in many applications. Due to their durability, they can use anywhere, especially where temperature stability, aggressive medium resistivity or high contaminate fluid is needed to be controlled. The operation mode for angle seat control valve is simple. One neutral control medium is required such as water or air provide the required valve position by affecting actuator of the piston, in open or closed position. 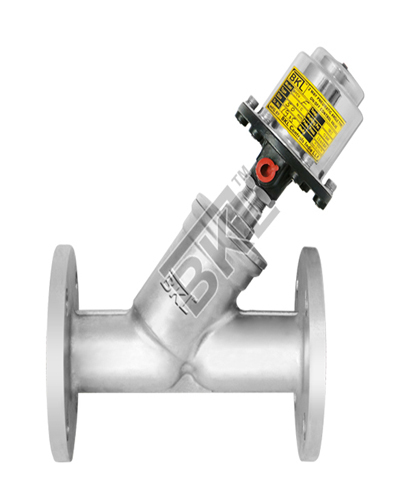 These valves can provide high force for closing, can provide short switching cycle and useful for sites without much safeguards in comparison to other valves. The valve body can be made up of brass or stainless steel, depending on the working fluid and the operational environment. The actuator of angle seat control valve is maintenance free and these control valves can be operated pneumatically. Actuator sizes are available in different material such as stainless steel and aluminium. For ensuring high durability against the various types of operating fluids, these control valves are sealed by self-adjusting ring packing. Automatic damped closing action prevents water hammering; in this system, the flow direction is guided against the valve plate. The position of the valve seat is also arranged in an inclined position as per the direction of flow for better flow characteristic. As a leading angle seat control valve supplier in India, we provide wide variety of control valves with basic and advanced configurations such as basic normal closed or open valve with double acting angle seat control valve with position indicator is also available. Additionally with quality control valve, we are also offering extensive range of accessories to control and regulate fluid flow reliably and safely.